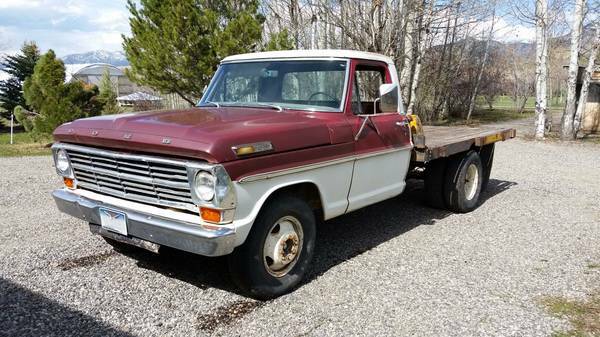 1967 Ford F100 1 ton dully 390 V8 Flatbed Truck, Running truck - could use a tune-up - that I’ve owned for 30+ years - very usable as is, new fuel pump, fuel lines, carburetor rebuilt. I hate to see it go but don’t need it anymore. Clear title. $2,500 cash only please. If interested email me from the Reply in the upper left corner of this ad. I will give you my phone # if you are serious to buy it.